23andMe is beefing up its African, East Asian and Native American ancestry capabilities — something it has sorely lacked. Specifically, 23andMe has added 12 new regions across Africa and East Asia to its database . 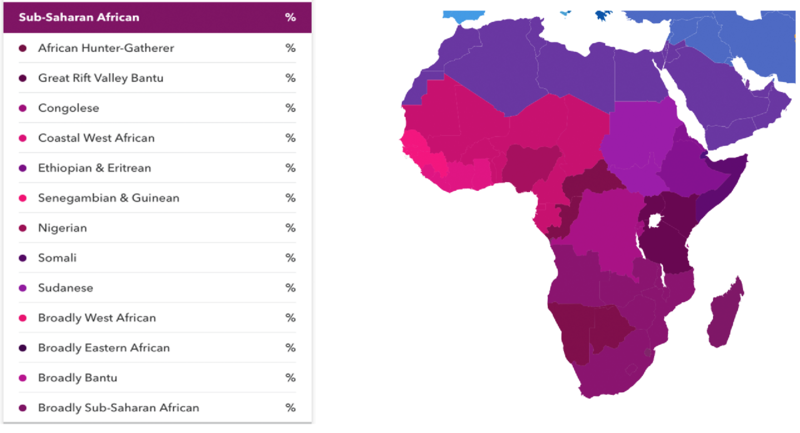 When I first tried 23andMe a few years ago, it told me I was 71 percent West African, which tells me next to nothing about which countries the bulk of my ancestry comes from. Well, that’s all changing — though, I already received the information from Ancestry — with 23andMe’s latest product update. 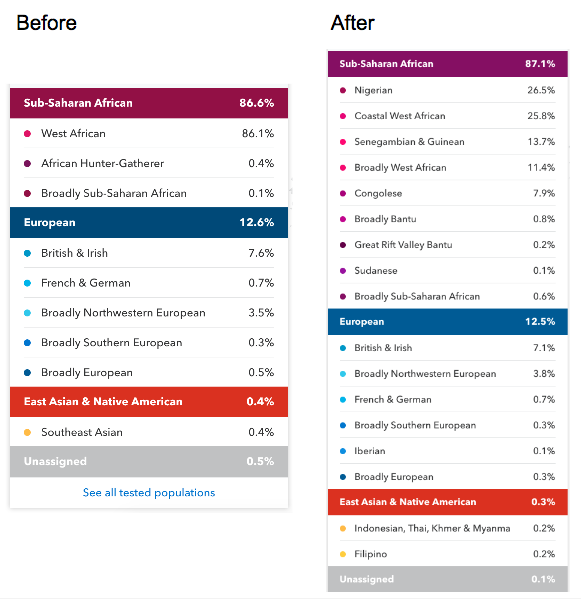 Before, 23andMe only provided three subgroups in the Sub-Saharan Africa region. Now, there are eight additional subgroups in the area, as well as four additional populations in East Asia. 23andMe first launched in 2007, but it’s taken a long time to collect the data needed to provide a more comprehensive genealogical view to certain populations. Roughly 75 percent of 23andMe’s customers are of European descent, 23andMe CEO Anne Wojcicki said at TechCrunch Disrupt SF 2017. So, 23andMe realized “at some point that we needed these initiatives to go out and get the data,” Smith said. That means they’ll either have to buy a new kit or opt-in for a yet-to-be-available upgrade program, Smith said. Beyond this update, 23andMe plans to regularly release updates and continue adding new populations. Last September, 23andMe raised $250 million at around a $1.75 billion valuation. As part of that capital raise, Wojcicki said, 23andMe planned to work to expand the diversity of the data and the research on that diversity. In addition to ancestral information, 23andMe also offers health reports. Earlier in 2017, the Food and Drug Administration started allowing 23andMe to test for 10 different genetic risk tests, including ones for Parkinson’s and Alzheimer’s. In addition to testing risks for certain diseases, 23andMe also tells you fun facts like how your DNA influences your appearance, preferences and physical responses. I’ll be retaking the 23andMe test soon and will let you all know what I find. In the meantime, a researcher over at 23andMe shared a before and after look at their results. Check it out below.